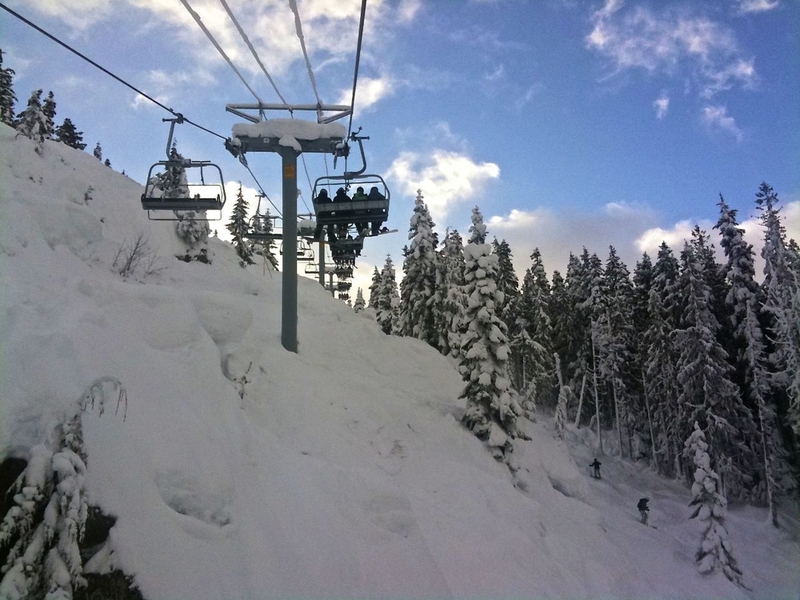 Tuesday we finally got out to the mountains and did some skiing up at Whistler. Unlike most of our ski trips last year, there wasn’t a huge dumping of snow the night before, so we were not expecting an epic day, but still it would be great to get out and hit the slopes. We were off pretty early, and up to Whistler in good time. Sadly, the lift lines were massive (holidays and all), and it was 10:00 before we were up to the top, and making our first runs. After a couple of warm up runs on the main Whistler runs (and dealing with ridiculous lines), we heard that Harmony was opening, and headed over that way. Bluebird day, heading up on the lift. Big lines at the bottom of Harmony. It was worth the wait. 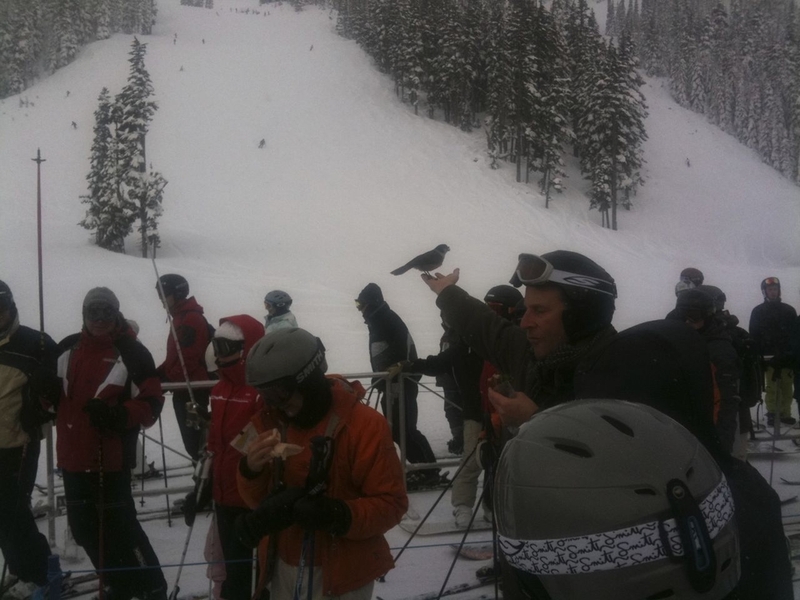 The lines were equally bad over at Harmony, but the snow was much nicer. It seems that the conditions had been a bit rough over the past few days, so this part of the mountain had remained closed, until this morning. 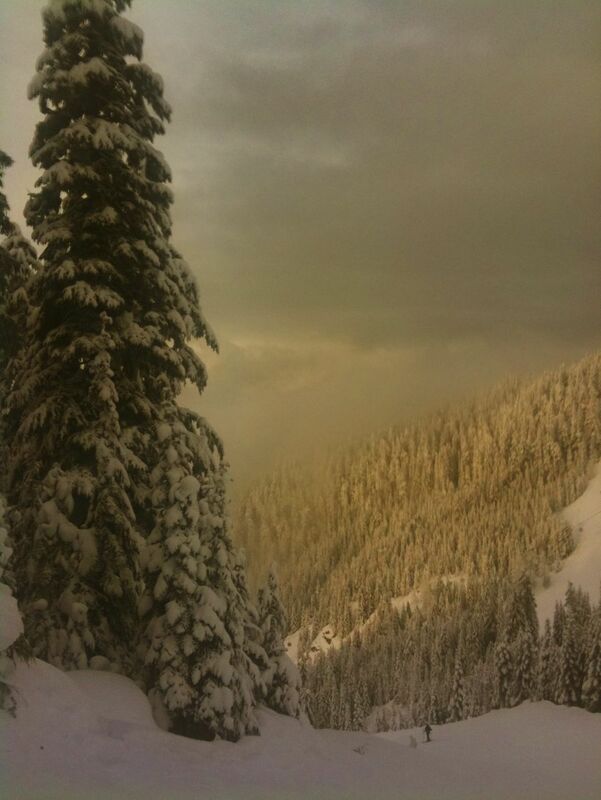 This gave us access to mostly fresh, knee-deep powder in Harmony Bowl. This made for some very fun runs before breaking for a late lunch. 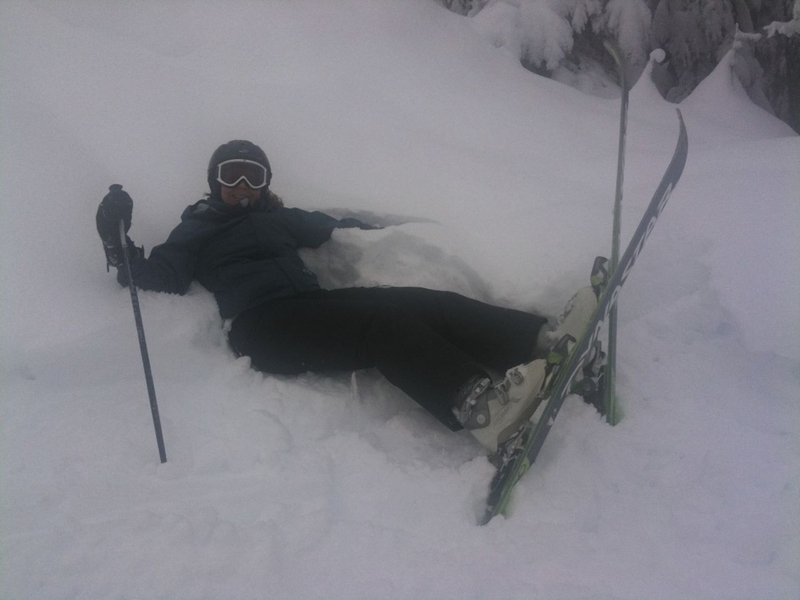 Justine crashed out in the awesome snow! After lunch we were both pretty tired after our first day on the slopes, so we only did a couple of runs, before skiing out. Justine had her camera with her, and we shot some videos of us skiing in Harmony. Justine is a much better skier than I, and looks much better coming down the hill. After the day of skiing, we made our way back to the city. The skies really cleared, and we were treated to a pretty amazing sunset. 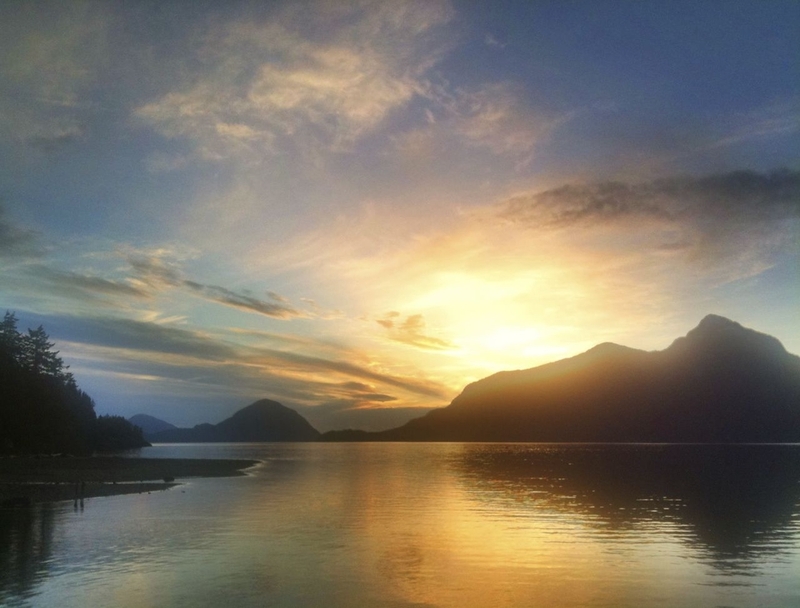 We stopped at Porteau Cove along the way and took some pictures of the sunset. It was a pretty nice day, all around. Awesome sunset at Porteau Cove.